What are the benefits of Aikido training? In addition to providing an effective form of self-defence, Aikido practice develops flexibility, calmness, physical fitness, coordination and self-confidence. A central theme in Aikido training is the coordination of mind and body. 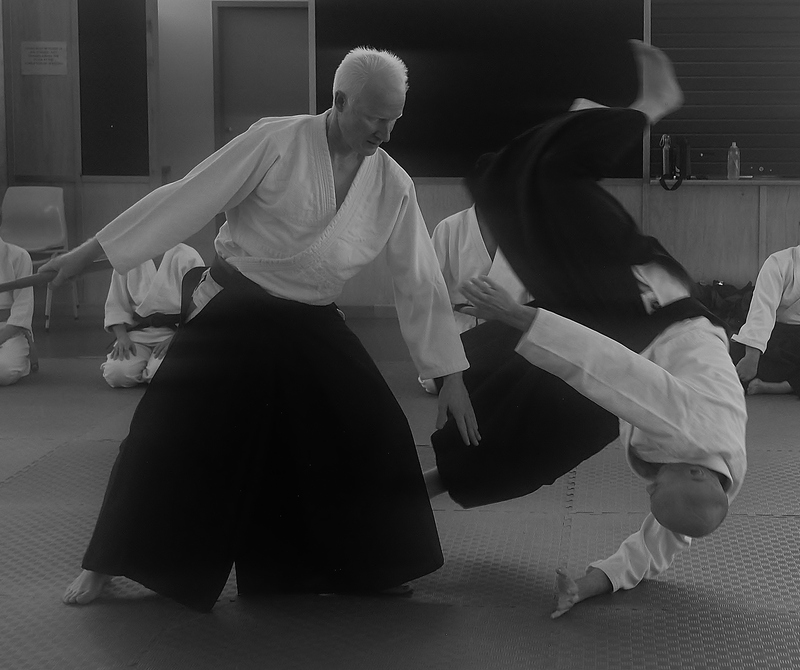 Aikido uses circular and blending movements to redirect, transform and neutralise an attacker’s force. When done proficiently, it requires no advantage in strength or size as effective Aikido places the attacking person in a position of being off-balanced and therefore readily dispersed or restrained. Is Aikido an effective form of self-defence? 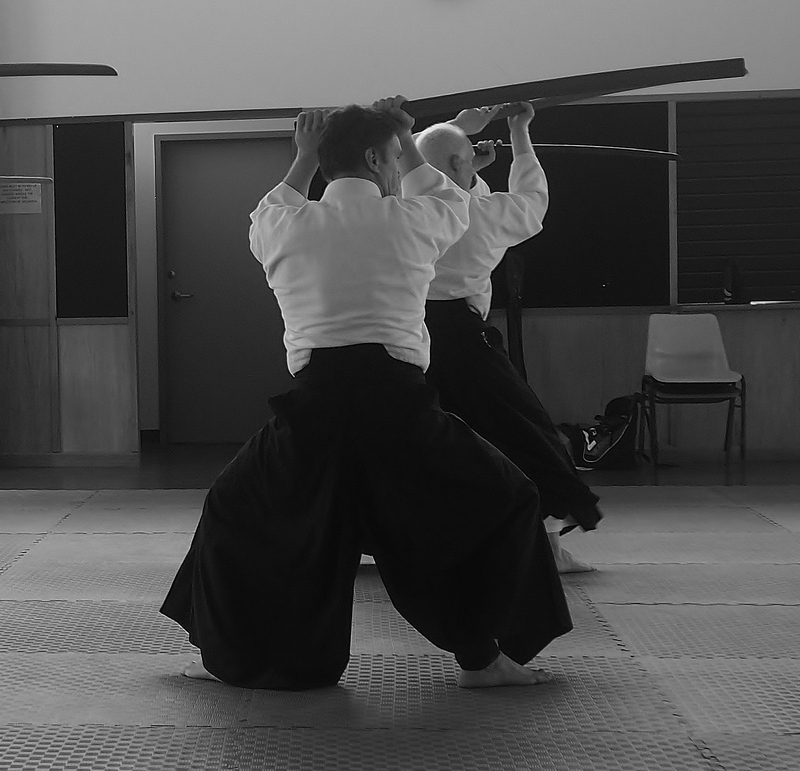 The extent to which Aikido can be used as an effective means for self-defence depends on the way it is trained and the priorities of the particular dojo. At Aikido Warrior Dojo we believe it is important that Aikido be trained with martial integrity and with due regard to the real world. Particularly important to us is that students learn to deal with conflict with a calm mind and with a relaxed and centred body structure. Not only is this critical in appropriately responding to an actual physical confrontation, but it also dramatically reduces the chance of conflict escalating into a physical confrontation in the first place. Is Aikido hard to learn? Like any skill, Aikido requires time, commitment and practice to become proficient. To truly master Aikido, however, requires a lifetime. For those of us who have been training for awhile, this is one of the best parts of our Art – there is always something new to learn and constant challenges to overcome. One comes to quickly realise when practising Aikido that it is not the destination that is important its the journey that makes it so worthwhile. Am I too old to take up Aikido? 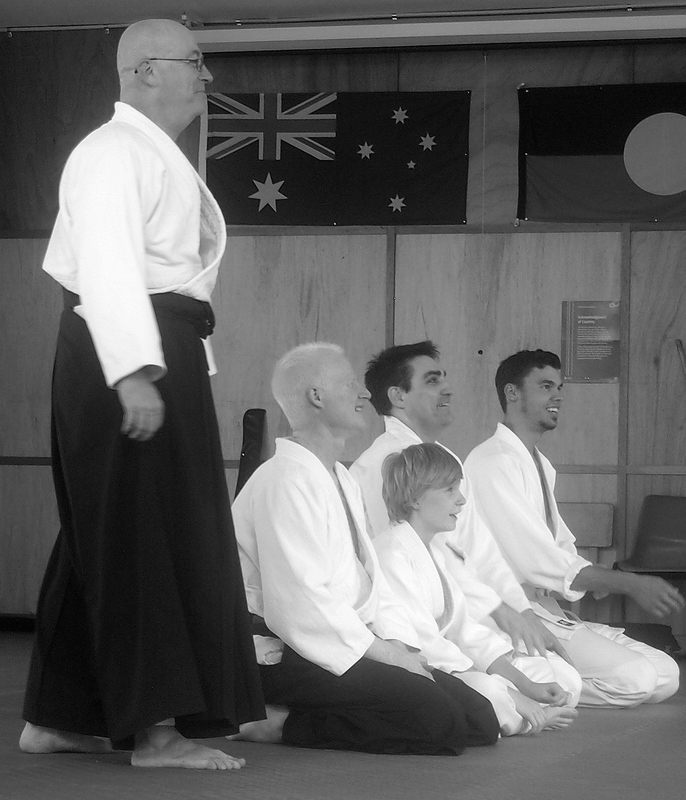 Aikido is suitable for adults of any age. Taking up Aikido in one’s 30’s and 40’s is very common. I know students who have successfully taken up Aikido in their 50’s and 60’s and continue to train well into their 70’s. That being said, as we get older we need to train differently to that when we were were in our 20’s, particularly if we wish to maintain the intensity of our training. This is something we are particularly conscious of at Aikido Warrior Dojo. Training can be readily modified to facilitate individual physical needs, regardless whether they are age related or otherwise. Aikido has a grading system ranging from 6th Kyu for students in the beginning part of their Aikido journey through to 1st Kyu and dan (black belt) grades) for the more advanced student. Intensity of training (particularly in terms of receiving attacks) varies according to the grade of the student. Senior students in our school also wear a traditional Japanese garment called a hakama (essentially loose garment with pleats in the front usually coloured black). The time taken to be awarded a black belt (known as a dan grade) will vary from student to student and will depend on their commitment and commensurate skills. Regardless, it is unlikely that a black belt would be able to be obtained in under 4 years.